Noobox: This was the first place we ate, as we were famished and had just arrived, checked in at the hotel, and picked up our badges for the convention. Noobox is downstairs in the Palais de Congres, so we nipped down for a quick bite and to look over our programs. This place is great for a quick, no-frills meal. They have a selection of noodles/rice, sauce, vegetables, meat/tofu, and you get a sushi-style list and check off the ones you want. You hand it to the cashier, and someone whips up your creation for you. We did have to laugh about the woman behind the counter, who was like an Asian version of Seinfeld's soup Nazi - she gave the poor bewildered guy ahead of us in line such a hard time. I kept expecting her to snap at him, "No noodles for you!" We were very sure to have our forms filled out in the approved manner. It didn't knock my socks off, but it was good, and I was hungry, so I was happy. Below is a photo I took of the Noobox store front. 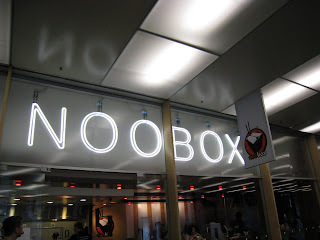 Not because it was my favorite restaurant, but because it's such fun to say, "Noobox." Go ahead, say it. You know you want to. See? Told you so. Beijing (Chinese): This wonderful little restaurant sits right at the edge of Chinatown, less than two blocks from the convention center. The restaurant guide recommends it, as did some of the local convention goers. We enjoyed our first meal there so much that we went back there for dinner on our last evening. I loved the salt & spicy shrimp and the tofu with black bean sauce. Yum! We did wish the lights could have been dimmed a bit - it is super bright inside. But the service was quick and no nonsense. Apparently they have long waits on the weekends, so it's best to get there as early as possible. We got seated right away, but it was before 6 pm. Le Notre Dame (breakfast, quick lunches) - I love a nice big breakfast when I'm at a conference, because then I can easily go till mid afternoon without any distracting hunger pangs. So I poured through the restaurant guide looking for a likely candidate. We wanted to walk around Vieux-Montreal, so I looked for a breakfast spot there and decided this one was a likely candidate. The guide said: "Though this looks like a total dump, appearances can be deceiving. This is a nice Greek restaurant with a good range of poutine and burgers, etc., cheap and surprisingly cheerful." We sat in the window and had a lovely breakfast brought to us by a very friendly and motherly Greek-Canadian woman. The coffee is excellent. I loved the Greek omelet, and Devinoni said the sausage was really good. We went there every morning but one, when we needed to get to the conference early and just grabbed some muffins, and it was good every time - plus it was very economical! Il Focolaio (Italian) - I could have sworn we got this one from the restaurant guide, too, but I can't find it in there. It might have been in a booklet we got at the hotel. At any rate, I remember being a bit tired from the "short walk" it was supposed to be, but the pizza was pretty good - great crust, but a little too cheesy for my taste - cooked in a wood-burning oven. We sat inside, since it was drizzling a bit, but we were right at the large open window (the walls basically retract so it's like you're on a terrace), so that was nice. Square-Phillips is a bustling place, great for people watching. 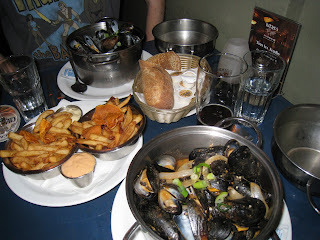 Bieres et Compagnie (Belgian) - The guidebook says, "This is a Belgian restaurant specializing in mussels and beer." 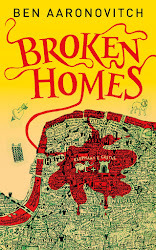 Devinoni and I did not need to read further - what's not to like? The photo at the top of this post is of our dinner, which was excellent. Great beer, delicious mussels, good service, nice atmosphere. We took the metro there, and it was fun to see a different part of town and do a little off-site exploring. This was definitely a culinary highlight of my long con weekend. Pub St. Paul - This was a wonderful experience - not just because it's a fun place to eat, with a beautiful view of the water, but because I got to eat there with the first blogging friend I've ever actually met in person! 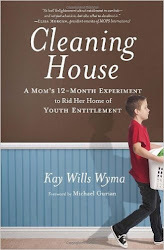 Cat from Beyond Books emailed me when I posted about coming to Montreal, and we made arrangements to meet (with a bit of help from my husband, who helped with some emails from home since I did not have any connectivity there, just my pathetic cell phone, which wouldn't even allow me to access my voicemail in Canada!). 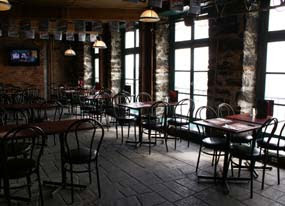 Cat traveled downtown to meet us, and we took a wonderful walk through Vieux-Montreal to a pub she likes to go to. I was too caught up in our conversation to think about taking photos while we were there, but I got this one from the pub's website. We sat by the window, which offered an excellent view of the water but allowed a bit too much wind to come in and play with our napkins and menus, so we finally had to close the window. Cat and I both ordered the shrimp, which were delicious and have inspired me to try my hand at replicating the way they were made (butterflied and broiled, I think, with maybe garlic and herbs). I had a great afternoon talking with Cat, and it was funny how it felt as if I'd already known her for a very long time. Which I suppose, in a way, I have! The time flew by, and it felt sadly as though we'd only had a chance to skim the surface of all the things we would have liked to talk about. I wish she lived closer, because I know we'd have a great time swapping books and playing geeky board games. Thanks for a wonderful afternoon, Cat! Basha (Lebanese) - This one was probably the biggest disappointment of all the places we ate. It wasn't bad, really - and in all fairness we got there right before closing. So the food was a bit cold and had clearly been sitting there for a while. The falafel had an odd bitter aftertaste, and the pita bread was kind of stale and cold, which didn't make me enjoy my hummus very much. The guidebook did not really have an opinion of this one, but we were in a hurry to eat something, and Noobox was closed already or we probably would have gone there again. Darla - I remember Il Focolaio was mentioned in one of the con newsletters (Voyageur? ), not the restaurant guide. Valentina - it was great. And they must have had literally 50 kinds of broth and goodies to choose from to go with the mussels - it was overwhelming. I finally gave up and asked the waitress which one was her favorite and went with that. I didn't regret it! Devinoni - Thank you! That was driving me crazy. I remember now that it was in the newsletter. I am glad you suggested the restaurant and taking the metro out to that fun neighborhood. Yum. Have I mentioned the best part of visiting new places for me is the food! And I was wondering how you got that photo as I didn't remember you taking any while we were there. Haha! And you got our table in the shot, too! Those shrimp were fantastic. I was very happy. I hope we can meet again and next time go board game crazy!! Cat - No problem - AmEx was delighted to inform me on the statement that came yesterday! :-) Funny that picture on the website was of our table - minus the wind. Board game crazy sounds great to me! I'd say to get out of the heat and come to DC to play some games, but it's perfectly awful here, too.